When in high school, Derek injured his back playing competitive sport. He was recommended to a local Chiropractor who had him back up and running quickly. Derek then spent time researching the profession, got to know some chiropractors and quickly decided it would be his chosen career path. He works with patients to develop a strategy and plan to alleviate their pain and achieve greater balance in their life. To qualify as a chiropractor, Derek Mould (Chiropractor) completed a master’s degree in chiropractic at the Durban Institute of Technology in South Africa, where he grew up. He sat for the General Chiropractic Council’s test of competence in 2003 and has lived in the UK since. With a focus on rehabilitation, he has completed many courses within the field. 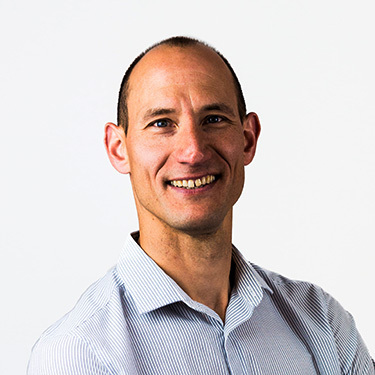 He is an exercise practitioner within Dynamic Neuromuscular Stabilization and has had a lifelong emphasis on core strengthening and spinal stability. Additionally, he has an interest in golf, squash, kite surfing and running, giving him unique insight on the demands these sports place on the body. He has also completed a seminar through The Running School to learn more about the mechanics of running and the injuries that result from poor technique. Derek Mould (Chiropractor) is happily married with two sons. Their active family enjoys running, football, cricket, rugby, golf and swimming. Contact Crossgates and Rothwell Chiropractic Clinics today to schedule your appointment! We offer late opening hours for your convenience.